MAGIC BAR IS CLOSED. THANKYOU ALL BELOVED GUESTS! 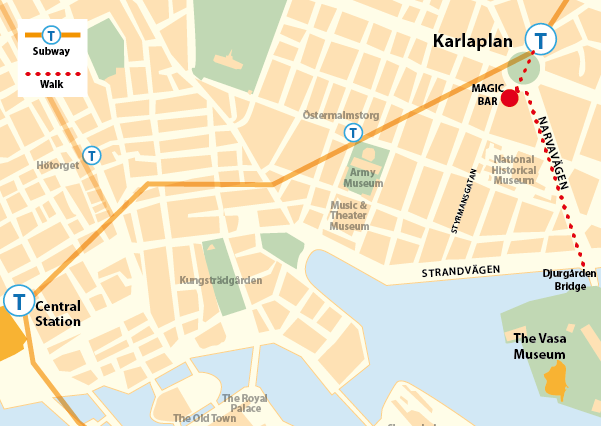 Situated just two subway stops from Central Station or a brief walk from the Vasa Museum you will find a restaurant not so ordinary. 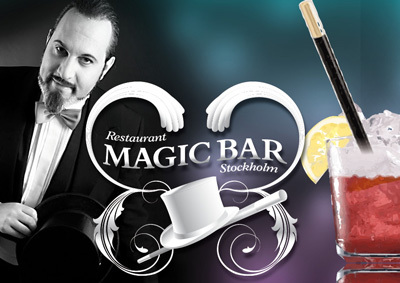 Why not finish the day at northern Europe’s only magic themed restaurant! Swedens most skilled magicians performs at your table (free of charge), inside the restaurant – or outside. Enjoy a magic meal from our enchanting summer menu or explore our wide assortment of wine and beer. Unfortunately, this site is not yet available in English, but Google Translate makes a fair but somewhat amusing job in converting Swedish to something vaguely resembling English. Upcoming events, shows, and dinner menus are found under the heading Dinnershow. A listing of all our artists can be found under Artister. Contact info, map and nearby hotels are found under Kontakt. Magic Bar is open Tuesday-Saturday from 5 pm.